Wishing you a Happy New Year and all the best in 2012 as Brookside welcomes its new citizens, new members of your family (the executive has seen two recent arrivals - baby Isaac and baby Lauryn) as well as our new arrival at Yeadon Green - a new playground! 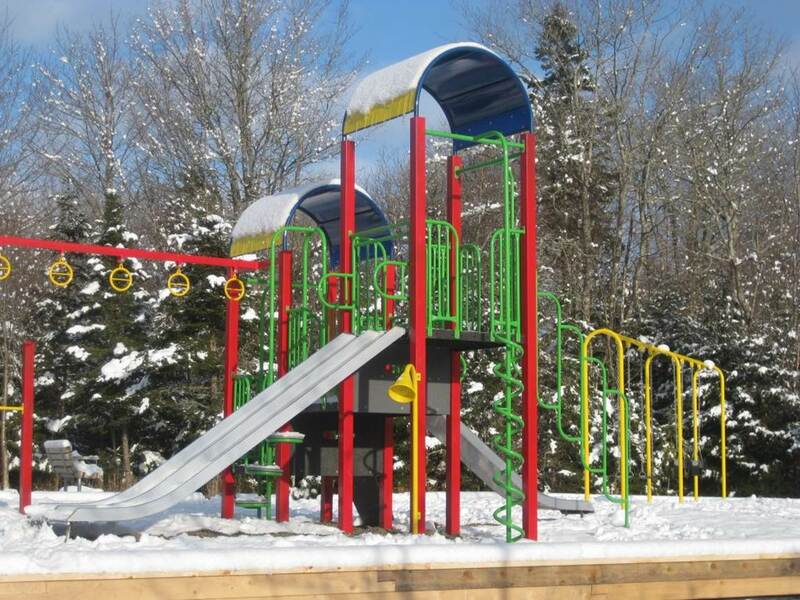 After several years of lobbying, the direct efforts by many executive members of BCHA these past years, and the goodwill and partnerships with HRM Parks and Rec and our Councillor, Reg Rankin, BCHA managed to get this playground brought back to its former level of play for our children. We hope you enjoy the renewed playground at Yeadon Green on Northcliffe Drive as it looks great even on a snowy day. We have also completed the Lover's Cove Park picnic shelter and gardens on Cathy Road and the parking area at Wendy's Meadow Park on Melanson Lane…so we have had a great 2011!! We invite you to further give us your feedback with a few minutes of your time to complete the community survey we have prepared to launch us forward in 2012. The results will be discussed and decisions taken at the Annual General meeting to be held on March 28th at the Prospect Road Community Centre. Mark your new 2012 calendars to attend - your input shapes our community!